Every year, Thierry Martino designs and creates a new collection in homage to Harley-Davidson®. 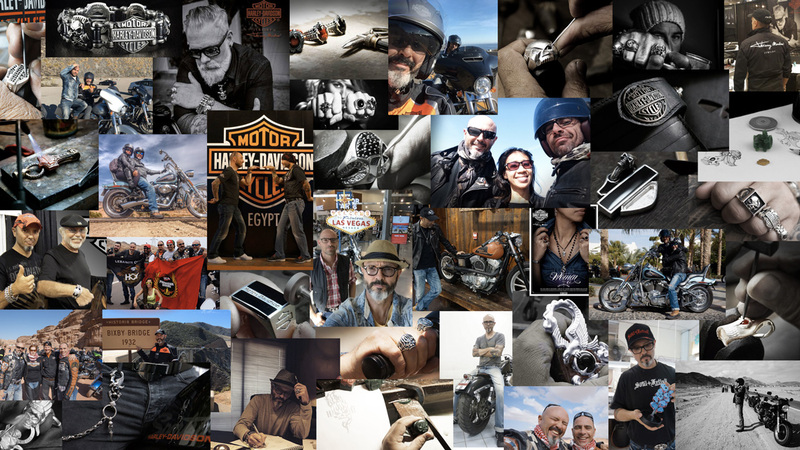 Each new piece is made in honor of the H-D® legend and out of pride for the biker lifestyle, lovers of the beauties of Milwaukee. Thierry Martino grew up in the South of France, at a time when Japanese motorcycles dominated the market, and having a Harley® motorcycle made one stand out in the crowd, which did not displease Thierry. The long haired roughs of the 70’s and their noisy engines nourished this suburban child’s dreams of reckless freedom. 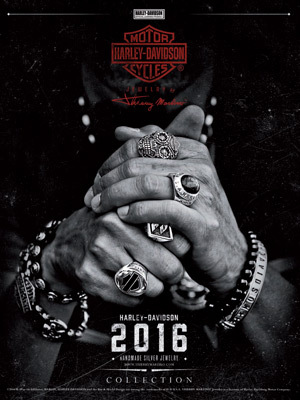 The late 80’s gives introduction to the very first Harley® motorcycle, a 1200 Sportster® model, the first in a long series.In 1999, Thierry Martino creates the SoulFetish® brand and begins carving the first of his silver rings for himself and his biker friends. 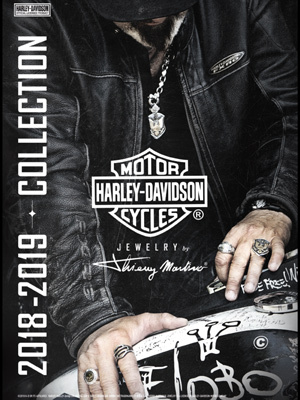 So, when in 2008 the «Motor Company» suggested he create jewelry for Harley-Davidson®, it was naturally the most gratifying day of his professional life. 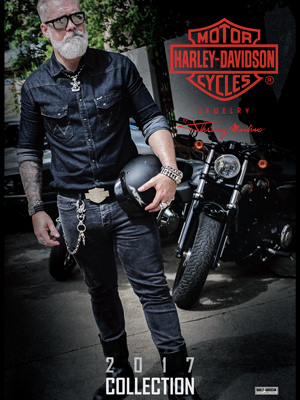 «Each collection is a renewed gesture in honor of the Harley® legend. It is always with pride that I represent through my jewelry the Harley-Davidson® motorcycle riders, a fraternity thirsting for freedom». 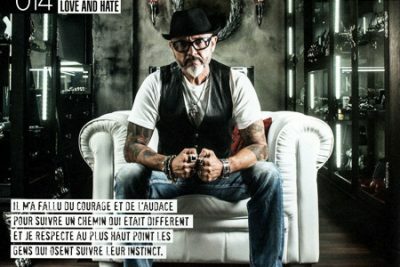 All Jewelry by Thierry Martino® was designed and crafted by bikers for bikers at SilverStudio Co., Ltd. Martino maintains a close eye over the entire artistic and metallurgical handmade process to ensure that all pieces of jewelry meet his high quality standard. Crafted from the finest raw materials available: it is casted using the latest technology, assembled and polished by hand and made of 94% sterling silver and 6% of special anti-tarnish fine alloy (Nickel free). Each piece is guaranteed for life against defects in materials or workmanship.